I am receiving the following error message, how can I resolve this issue? ??? Undefined function or method ‹FunctionName› for input arguments of type ‹ClassName›. Undefined function or variable 'fo0'. 2) The wrong case for a function or variable name. Later versions of MATLAB try to resolve these typos with “Did you mean” suggestions. 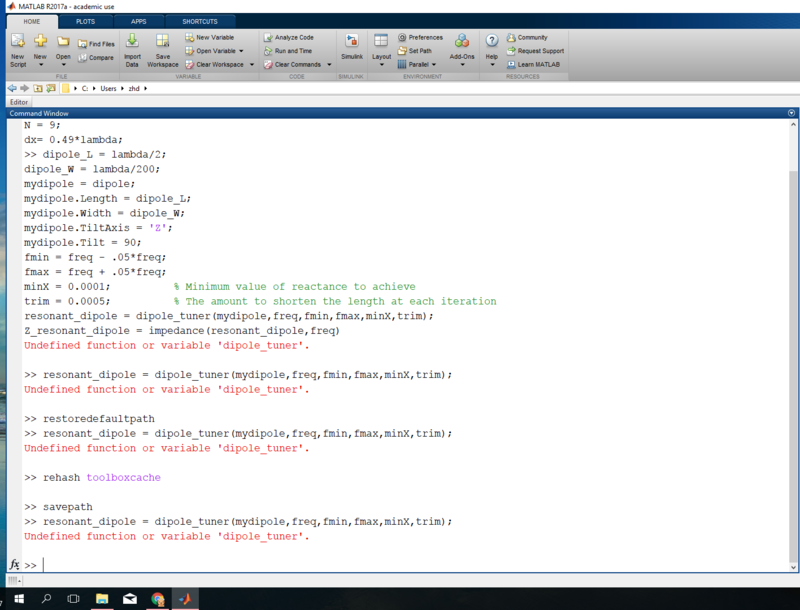 3) Changing directories so that a function you used is no longer on the MATLAB path. 4) Trying to use a function for which you are not licensed or that belongs to a toolbox that isn’t installed. In later versions of MATLAB, this is not an “Undefined function or variable” error, and MATLAB lets you know that you are either not licensed to use the function or the appropriate toolbox is not installed. 5) Calling an object method without an object as the first input. 6) Using a MEX function that is compiled on a platform different from the one in use. Verify that the undefined function or variable is visible (it is on the path or in the current workspace) and that it has been defined before this line of code executes. If you are certain the variable or function exists, verify the case of the function or variable name. If the undefined identifier is a function, the 'which' function can help you verify that it is visible to the function where the error occurs. If you are having problems with your MATLAB search path, run the following MATLAB commands and then restart MATLAB. Why this error occurs when I use antenna toolbox??? I am facing this error when running y_lambda=lambda: Undefined function or variable 'lambda'. Where do you expect that your program should be getting a value of lambda from? Why do you get this error? Because the variable or function 'drivingScenario' is undefined and you try to use it. With the information you gave (none at all) noone will be able to help you. Where do you use the variable/function? Which toolbox do you intend to use? If its only a part of code then you maybe have do declare the missing functions/variables yourself. That function is part of the Automated Driving System Toolbox, which was new as of R2017b. You probably do not have that installed or licensed. If I recall correctly it is not available for Student licences. This function is implemented since Matlab R2017b, is your Matlab version R2017b or above? This function is used in the Computer Vision System Toolbox, type "ver" in your Matlab Command Window to see if you already own the toolbox, if not you have to get that. If you own the toolbox and the right Matlab version try to restart Matlab once, sometimes that helps too. No, there is no replacement for pixelLabelDatastore in earlier versions. @Walter, batchNormalizationLayer also need Matlab R2017b? Undefined function or variable 'shaperead'. On the description page for this function it says "Introduced before R2006a". I use MATLAB R2015b- academic use. Does that mean that the function is not available for student license? How can I perform this kind of check in the future? Many thanks, Alex. Type "ver" into the Matlab Command Window. shaperead is part of the Mapping Toolbox, if you dont own it you cant use the function. Normaly it should be included in the academic license, so check if you have downloaded it. If not you may try to load it. If its not for free in your version you may try to contact your IT so it can be included into the license. Otherwise, if you have newly created the code try to restart matlab once, sometimes that helps, too. Error while evaluating ButtonGroup SelectionChangedFcn. The lgemri is a file in nrrd format. lgemri should be a character vector that contains the name of the file. Thanks! That was stupid of me. Undefined function or variable 'CostfunctA3'. @Francisco Santamaría: have you defined/downloaded a function named CostfunctA3? Is it on the MATLAB path? I am getting this problem in Matlab when plotting the graphs with shaded area. Undefined function or variable 'jbfill'. These below are my code lines. error is in line 127 below. Completed 1 of 6 simulation runs. Run 1 has errors. Completed 2 of 6 simulation runs. Run 2 has errors. Completed 3 of 6 simulation runs. Run 3 has errors. Completed 4 of 6 simulation runs. Run 4 has errors. Completed 5 of 6 simulation runs. Run 5 has errors. Completed 6 of 6 simulation runs. Run 6 has errors. Now my Question is I've already defined my variables before in the script still the error. Also, I've tried all Solutions Data Dictionary, InitFcn, PreFcn, Srcworkspace and stuff but the Problem persists! Please guide further. I do not see any obvious setting of T_SIM or stop time in your code? I am not certain that is the correct variable name, though. Appreciate you for your assistance. The solution was calling the Initialization script in the function callback GUI of Simulink (PreFcn and InitFcn). Earlier the solution didn't work because of the bug in 2017b. Had to clear all the slrpj stuff. Hi Arihant, I am currently struggling with the same error using parsim as you described here. Can you please elaborate on how to solve this problem? I am using 2017b as well. out = parsim(in,'TransferBaseWorkspaceVariables',on 'ShowProgress', 'on') as also mentioned on help page. 2. Use function callbacks which can be accesed in simulink from File-> Model Properties -> Model Properties -> Callbacks. Then punch name(s) of your initialization script in the PreLoadFcn and InitFcn without .m at the end of the name. For example - If your script is call "Init_SIM", then it would just go as Init_SIM in the callbacks and not as Init_SIM.m. Undefined function or variable 'fact'. Use "factorial" command instead of fact since the "fact" command is only used from 2018b. Previous versions have factorial. I've fixed that. For some reason I've still getting the error. Do not store your own files in a directory under the matlabroot directory. See this documentation page for some of the reasons why. If you must do so, that documentation page will also tell you how you can. Consider storing your files in your userpath folder instead. It's an example only, as I've got some code from a colleage (a collection of .m files) I'd like to use. However it's not finding the functions. Thank you though. Something strange is that when I try to call some function from toolbox (communication) I'm getting that it is not existing. Even when I'm going to %MATLABROOT%\toolbox\comm\comm where the m file is existing, I still can't run it. If that does not work then please show us the complete error message and also the results of using the "which" command with the -all option and the name of the function . I have seen this issue before with other functions. 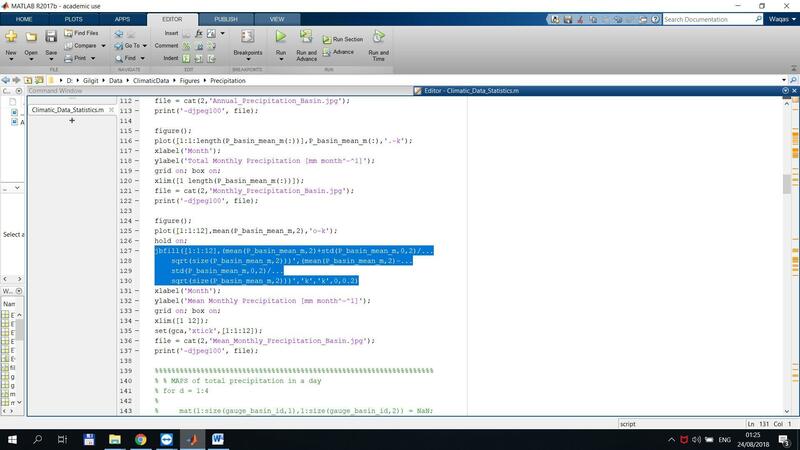 As stated before, first check that the function name is spelled correctly and that the function is located in the matlab search path. Assuming those two things check, then delete the path where the function is located, then reset the path. I would also will restart Matlab. I'm not sure why, but this seems to correct the problem.